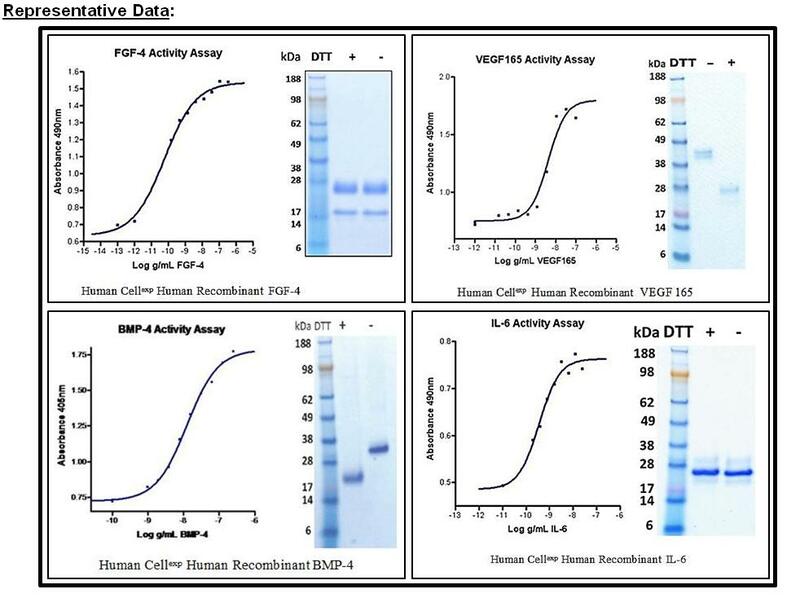 Human cell expressed recombinant proteins | Protein & Enzymes | BioVision, Inc.
Proteins, especially therapeutic proteins were initially extracted from human and animal tissues or blood. However, limitations in availability of the biological material, and the potential pathogen contaminations, led to the development of recombinant proteins traditionally produced in mammalian cells, insect cells, bacteria and yeast. Although this approach is very beneficial in terms of enhanced safety, lower immunogenicity, increased half-life and improved bioavailability, it is still hampered by the fact that these cells just do not have the machinery to produce authentic human proteins. Only a human cell can provide the micro-environment required to produce native human proteins. The human cell factory gives access to the umpteen components like the enzymes, proteases, cellular organelles, and chaperone proteins necessary to properly process, modify, and fold the translated protein into the mature protein capable of carrying out its biological function in the context of the human system. Additionally a non-human expression system can have important glycosylation differences that can significantly affect protein activity, function, and half-life and non-human glycosylation (like that carried out in the CHO expression system) can also cause immunogenicity problems. • They contain all the post-translational modifications (which affects the activity, function and half-life) seen in human proteins.